This article first appeared in Options, The Edge Malaysia Weekly, on March 5, 2018 - March 11, 2018. Intelligent, dynamic and erudite best describe Datin Grace Yeoh, Shearn Delamore & Co’s first-ever lady managing partner, who is focused on driving the law firm’s continued success and evolution while ensuring its new generation of lawyers acquire the proficiency required to rise to the top of their game. She talks to Anandhi Gopinath about her legal career, what continues to inspire her and how she transfers her knowledge every day. friendly and chatty, Yeoh does not seem guarded or overly cautious during our hour-long chat. No power-hungry female boss here either, Yeoh proves that you can be an effective leader whom everyone respects while staying true to a kind and nurturing nature. 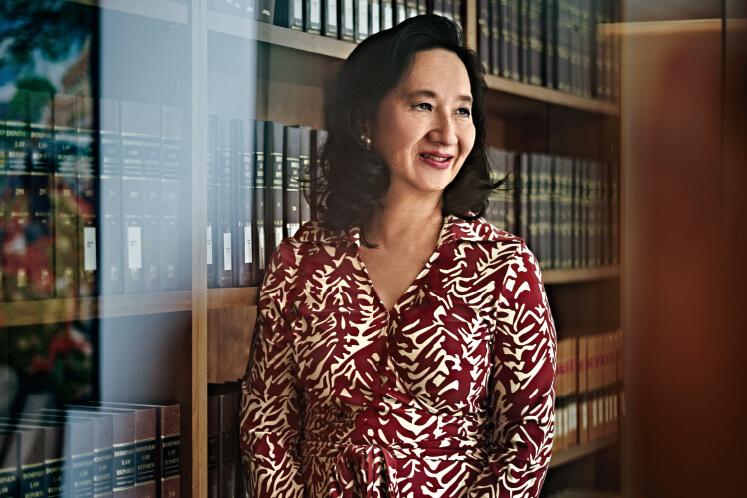 Although she is Shearn’s first-ever female managing partner, Yeoh glosses over the fact. “It had to happen sometime simply because there are so many women who now stay long enough at law firms. It so happened that at Shearn, it was me. But yes, it is quite odd when you think about it. It did take them more than 100 years to get here,” she laughs. As it turns out, Yeoh has a delightful sense of humour and I spend much of our time together trying not to burst out laughing at her witty puns and clever comebacks. Yeoh has spent her entire legal career at Shearn and today heads two departments — corporate/M&A as well as energy, natural resources and green technology (ENRGT) — apart from her role as managing partner. She is also part of the firm’s more recently established private wealth and family business practice, and alongside her work at Shearn, she sits on the board of Bursa Malaysia and CIMB Bank. There do not seem to be enough hours in the day for what Yeoh does at work, let alone her responsibilities as wife and mother to five children. For the full story, pick up a copy of The Edge Malaysia (March 5) at your nearest newsstands or visit optionstheedge.com.